Great beer is to Belgium what great wine is to the French – it’s more an artform than a beverage. It’s arguably the world’s best destination for all things beer-related (and waffles…and chocolate…). Therefore, no trip to Bruges is complete without a visit to some of its many pubs spread across the tiny and ridiculously picturesque city. 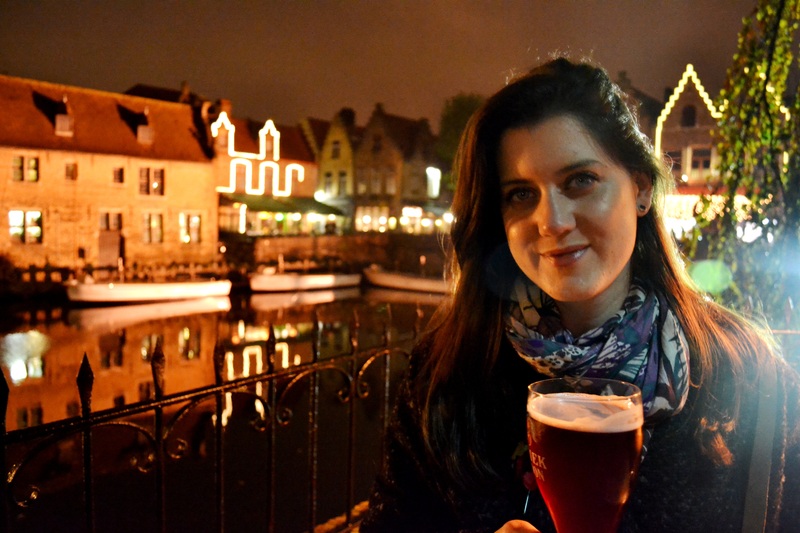 In fact, there’s over 4,000 varieties of beer to enjoy in Bruges alone, each with its own precise glass. Before my visit to Bruges, beer was very much new and undiscovered territory (ordering a Corona was as adventurous as I got when it came to beer and lager). As a beer novice, it was the perfect destination to try the really good stuff. From the famous De Halve Maan brewery to intimate, hidden pubs down Bruges’ many cobbled streets, I came away with a new found respect for the hoppy wonder of Belgian beer and its reverent but laid back pub culture. 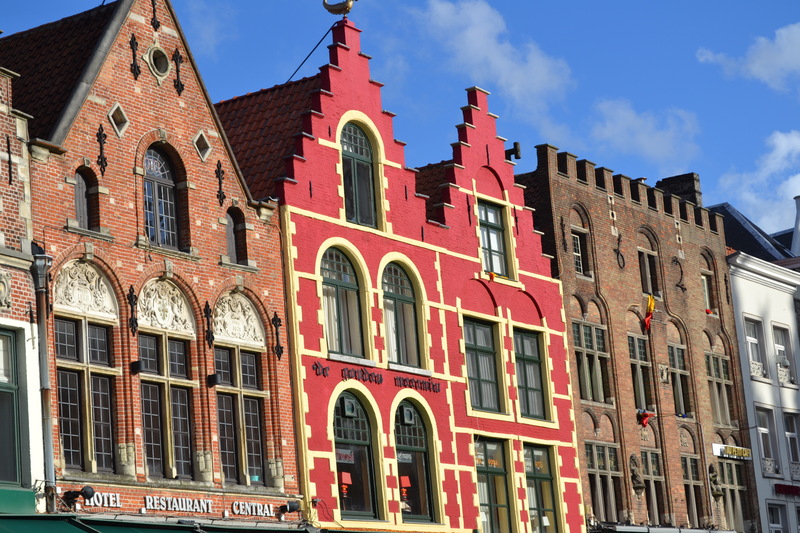 Undoubtedly one of the most famous of Bruges’ attractions, this famous brewery is a family-run business that has been going for over five generations. It brews the much-loved Brugse Zot beer (so called as the people of Bruges have been known to their Flemish neighbors, as “Bruges Fools” for centuries!) as well as other award-winning varieties. A guided tour round the brewery is highly recommended and only cost 7 euros. 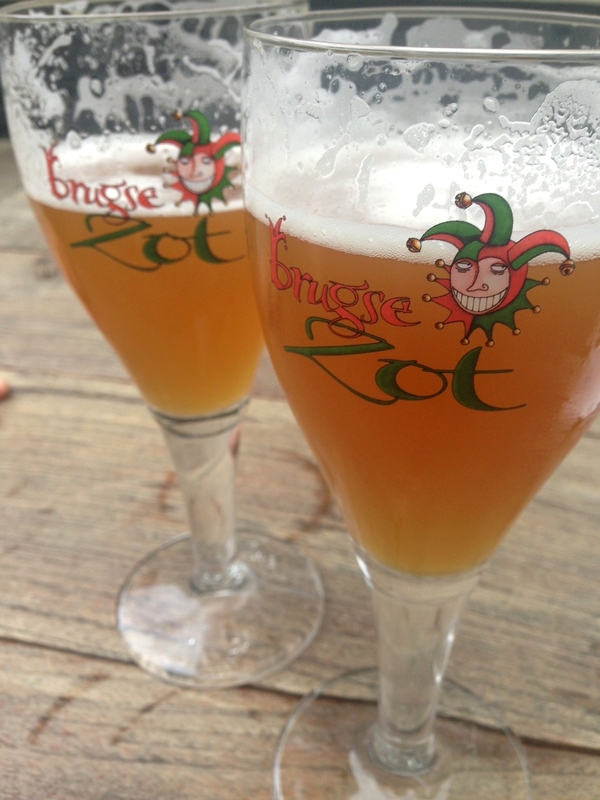 It was very interesting discovering how they brew the beer – then and now – and you get to try a glass of refreshing Brugse Zot beer at the end. This is perhaps my favourite pub – of all time! It is located down Bruges’ smallest street and you would never know it was there unless you were in the know. Clearly, judging by the fact that it’s never empty, Bruges’ hidden pub gem is not so much a secret any more (but yet it still never feels ‘touristy’). The historic pub with wood beams and a cosy atmosphere serves hundreds of varieties of beer (approximately 4 euros per glass) and its very own brew – Garre. 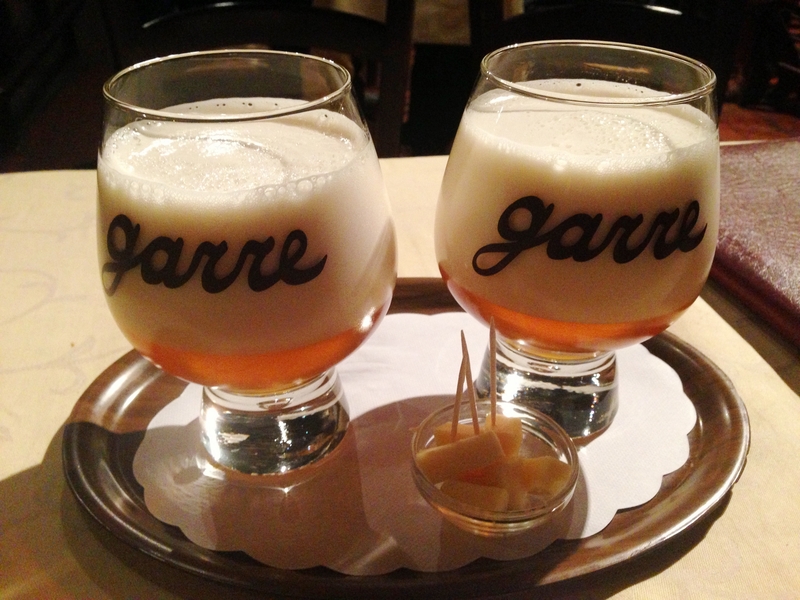 Smooth and delicious, the lovely rounded glasses of beer are served with some gouda cheese. Beer and cheese, what more could you want? Down yet another atmospheric cobbled street, ‘t Brugs Beertje is one of Bruges’ most famous pubs. Small and cosy with beer paraphernalia covering the walls, and a small bar surrounded by hundreds of glasses, it is a great spot for lively beer tastings. I had a delicious raspberry beer here – Lindemans Framboise. Another cute pub, The Hobbit is situated just across the street. If you’re after a drink with a view, they don’t come more picturesque than 2 Be’s terrace overlooking one of Bruges’ most scenic canals (see photo above). I had one of the citys’ best-loved fruit beers here – Kriek – which had a wonderfully sweet, but also sour taste. Inside, the small, quirky bar is packed with tourists and locals alike and covered with colourful beer posters. 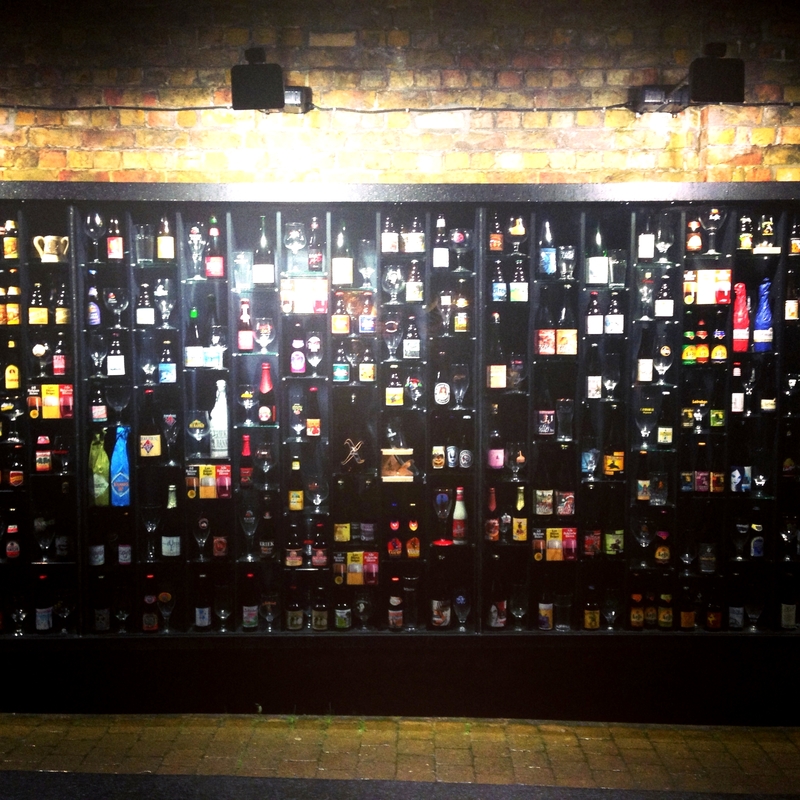 It is also the site for the famed beer wall, showcasing the hundreds of beers (alongside their respective glasses) of Bruges. (Plus make sure to check out the fish tank sink in the bathroom!). Have a fave? Let us know below! I was gutted to miss out on de Garre – it was heaving upstairs and down when I was there so I went to Rose Red instead. 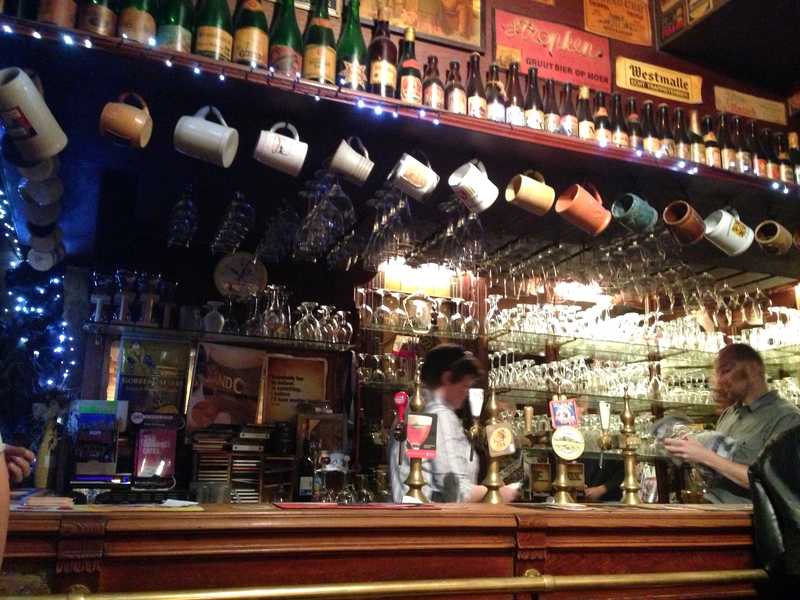 I loved Brugs Beertjes too but was lucky to get a seat – one very busy city for beer drinkers! Thank you so much for the amazing tips! I’m planning my trip there on Christmas time and I got even more excited now! 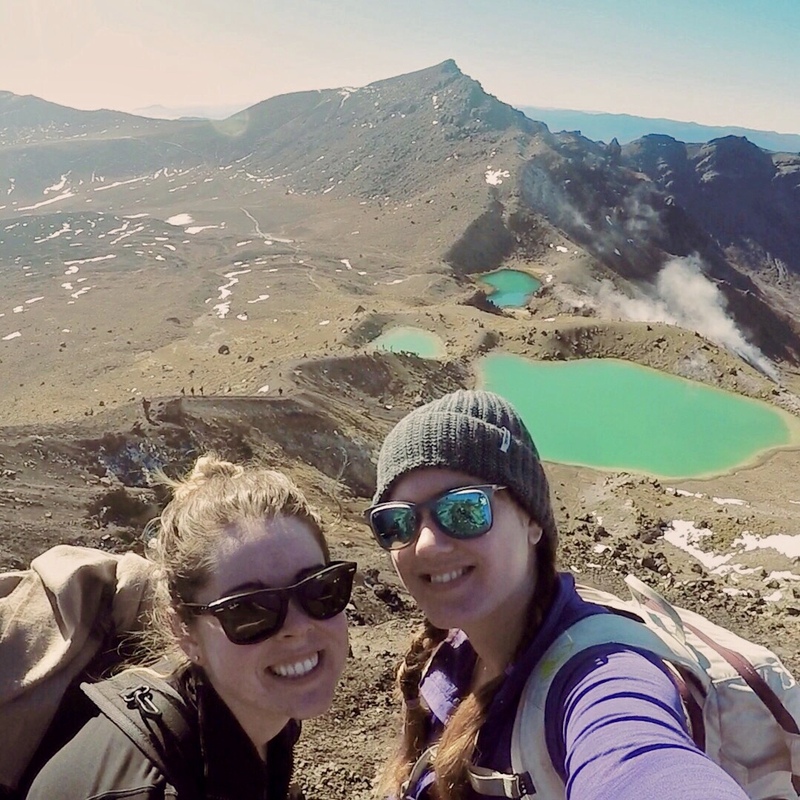 😀 Congratulations for the blog! Thanks! Aw Bruges at Chrismas will be amazing. Have fun!